Can’t get enough Halloween and STEAM? We’ve got you covered. With this super affordable, super spooky book called STEAM Kids Halloween. And until 10/31 you can get it on sale, bundled with some awesome Buy both and save 15%. 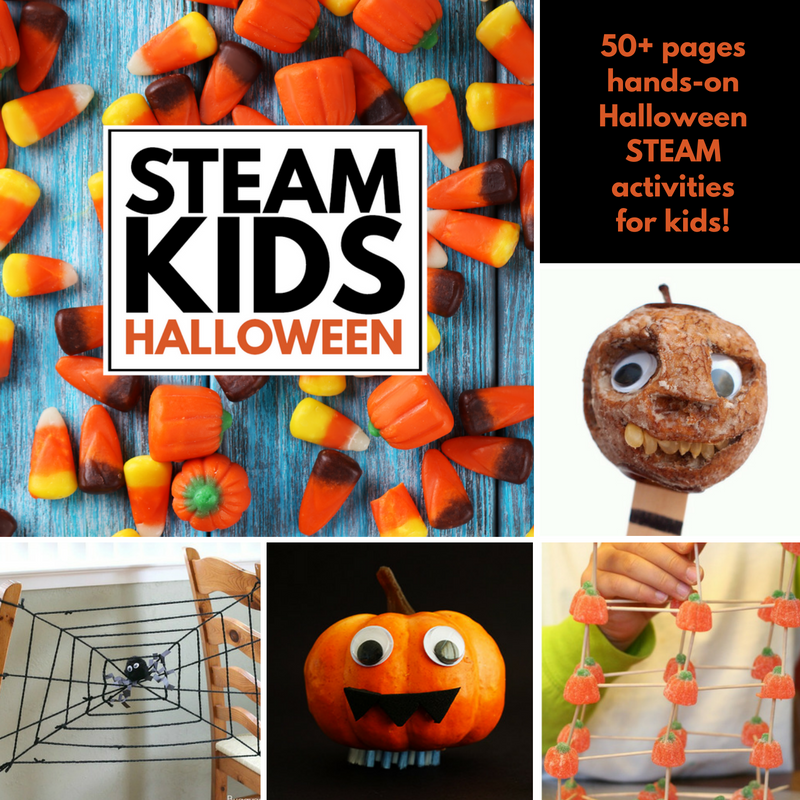 Get STEAM Kids & STEAM KIDS Halloween EBooks for $16.99! Plus you’ll get the Halloween STEAM Challenge Cards, too!! 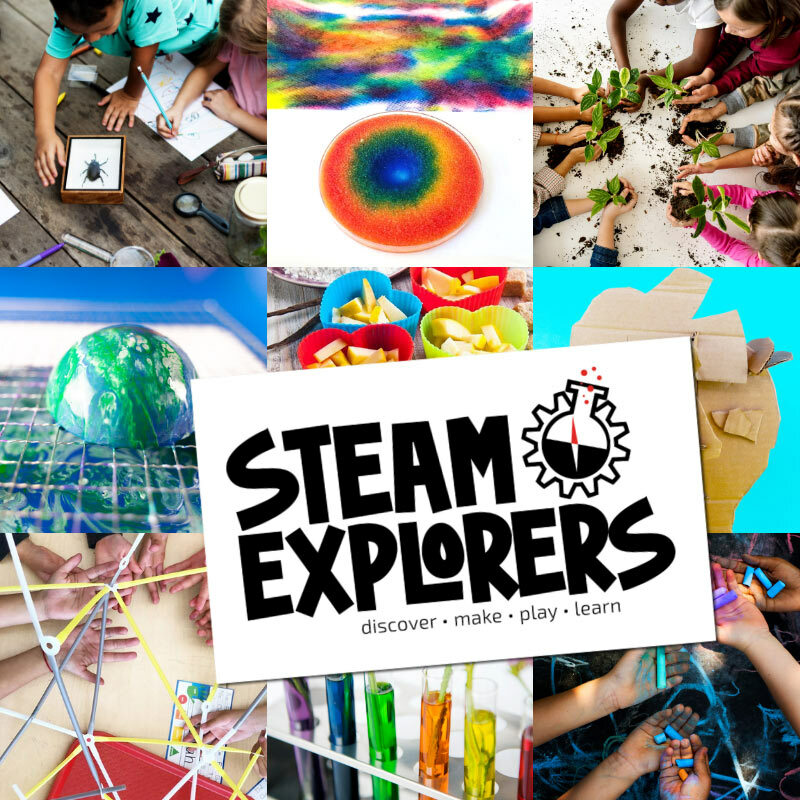 Inside you’ll find 50+ hands-on STEAM activities plus a bonus STEAM Activity planner perfect for camp, school breaks and homeschooling. This book will help you inspire your kids to engineer, create, design, explore and build the unimaginable. Never again hear the words “I’m bored” muttered from your kids. – Milk Jug Skeletons & so much more! Plus, 31 Days of Halloween STEAM Challenges for Kids! 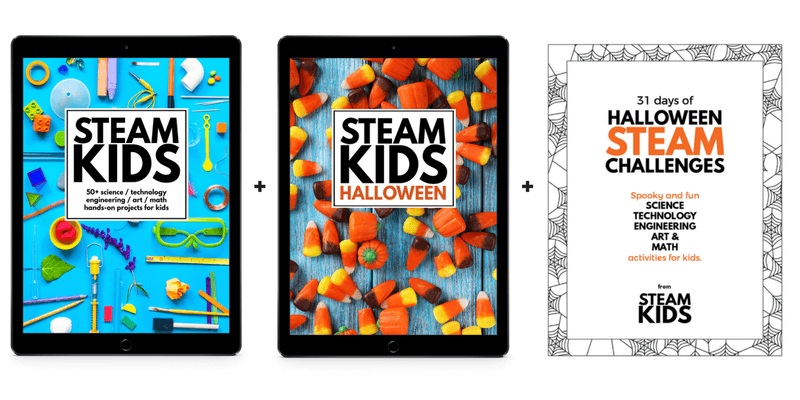 Play and learn this Halloween with these Halloween STEAM Challenge cards. STEM plus Art made spooky, sweet, ghostly and fun! 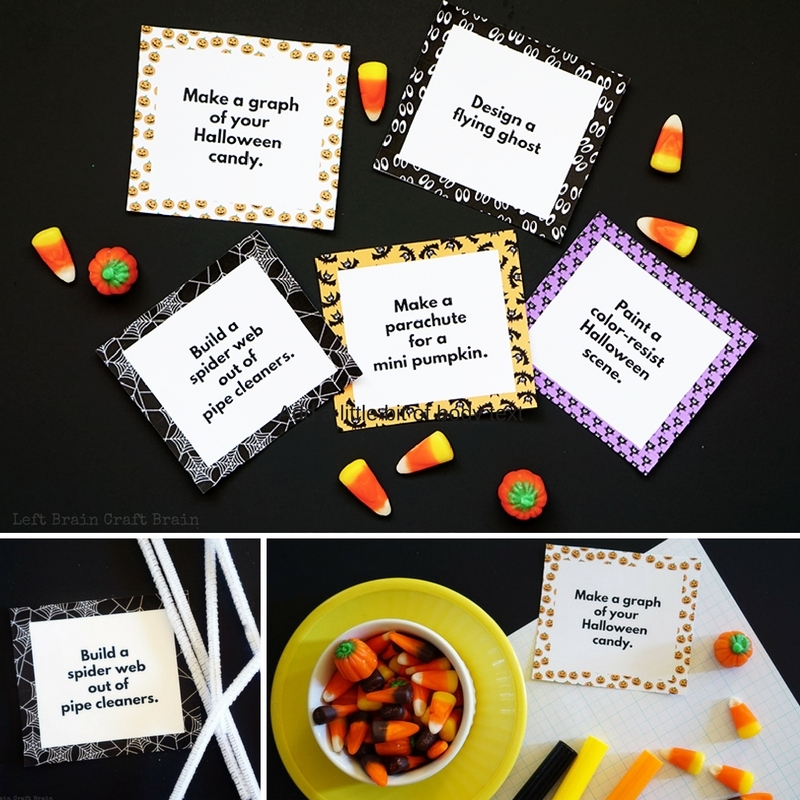 Inside you’ll find fun invitations to create like design a flying ghost or a make a batch of slimy pumpkin oobleck. In the EU? Buy STEAM Kids Halloween Bundle HERE. Rather get the print version? Hop on over to Amazon HERE. 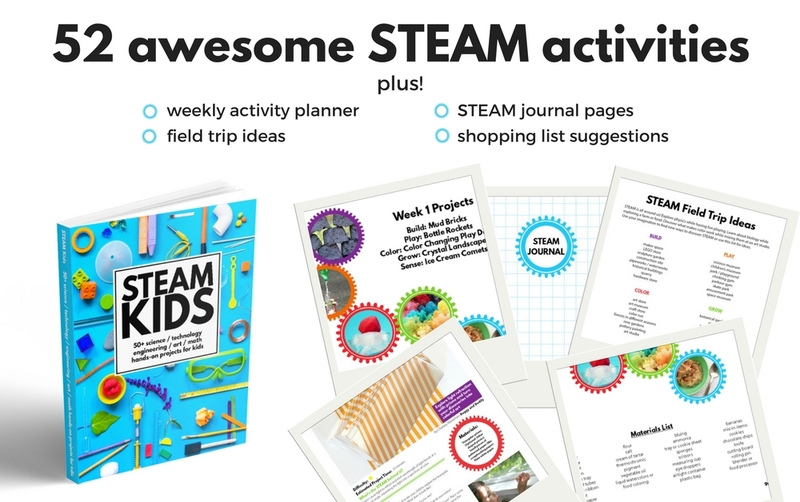 Then email me at steamkids@leftbraincraftbrain.com for your freebies!